An assorted group of former truck drivers, for example, are Elvis Presley, Liam Neeson, Charles Bronson, Sean Connery and Richard Pryor. 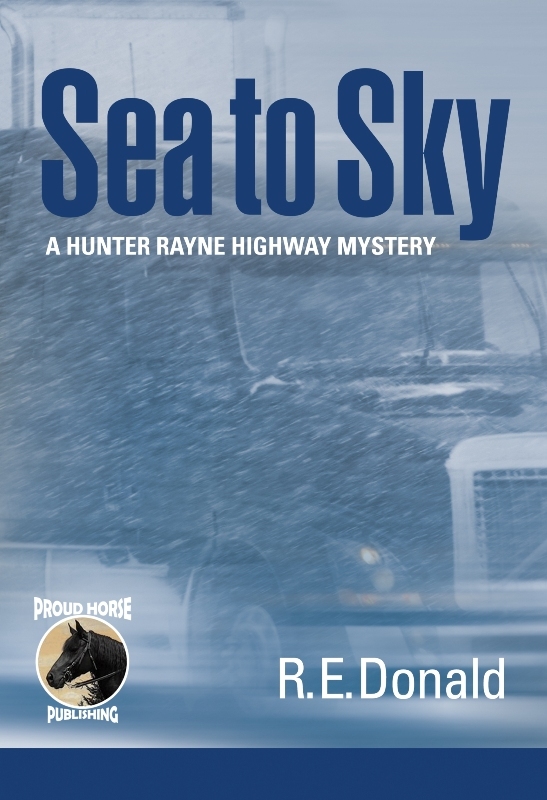 The long-haul driver I write about in the Highway Mysteries, Hunter Rayne, is a hero, in his own polite, tormented way. Why would a woman whose favorite mystery novelists at the time were Dorothy L. Sayers, Elizabeth George and P.D. James, choose to create a series whose hero is a truck driver? Having lived most of my life on the west coast of North America, I couldn’t write a series set in England (although Elizabeth George, whom I learned a great deal from at an excellent writing workshop at The Book Passage, has done it very successfully). I wanted to write a traditional-style mystery in a setting that I knew well, with believable situations, and with characters that seemed so real that a reader might expect to meet them in her home town. I had a lifetime of west coast characters and twenty-five years experience in the international transportation industry to draw on for ideas and inspiration. I looked at my bookshelf and realized it held numerous series featuring police detectives, lawyers and private eyes. I had no desire to compete head-on with the likes of Michael Connelly, John Lescroart and Sue Grafton, yet I wanted a hero who might realistically get involved in investigating murders and also have access to some of the investigative tools a true amateur would not. A former homicide investigator with friends still in the police force fit the bill. As a fan of the TV series “Murder She Wrote”, I also realized that setting a crime series in a single community raised issues of credibility. How many murders can take place in one small town like Cabot Cove? With my hero on the road, I have a continent full of crime at my disposal. That’s how the Highway Mysteries series with “semi-professional” detective Hunter Rayne was born. 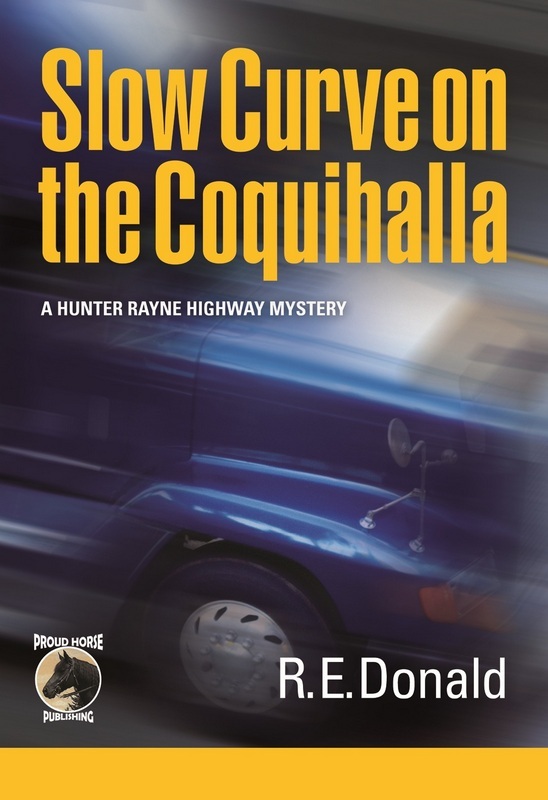 The first novel in the series, Slow Curve on the Coquihalla, is named after the mountainous highway featured in Discovery Channel’s “Highway Thru Hell” reality show. The supporting cast includes Hunter’s boss and dispatcher Elspeth Watson and a garrulous biker of Viking descent named Dan Sorenson. In spite of an acrimonious relationship with his ex-wife, Hunter struggles to stay connected with his two teenage daughters. His divorce and the suicide of his best friend have left him with wounds that are slow to heal, and a need for the solitude afforded him by life on the road. You can find Slow Curve on the Coquihalla, Ice on the Grapevine and Sea to Sky in digital or print format at most on-line book retailers, or they can be ordered through your favorite bookstore. 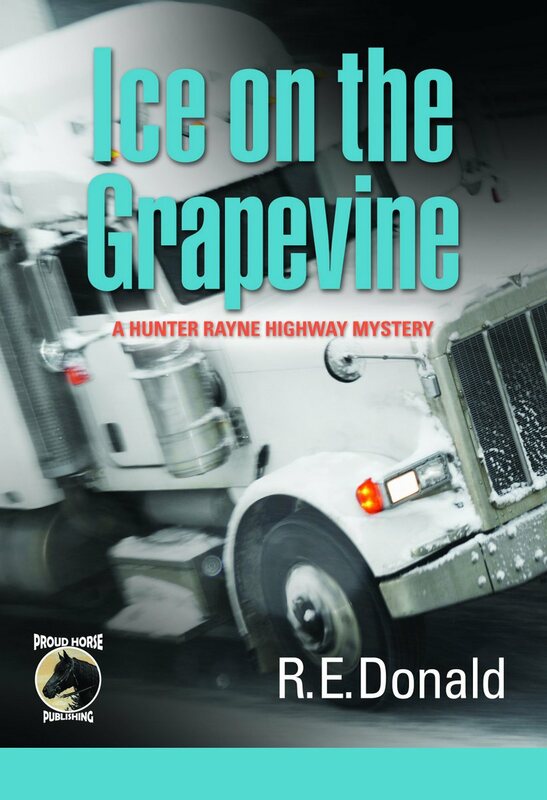 A fourth novel in the Highway Mysteries series will be released later this year. Full information is available at proudhorsepublishing.com or the author’s website at redonald.com. About R.E. 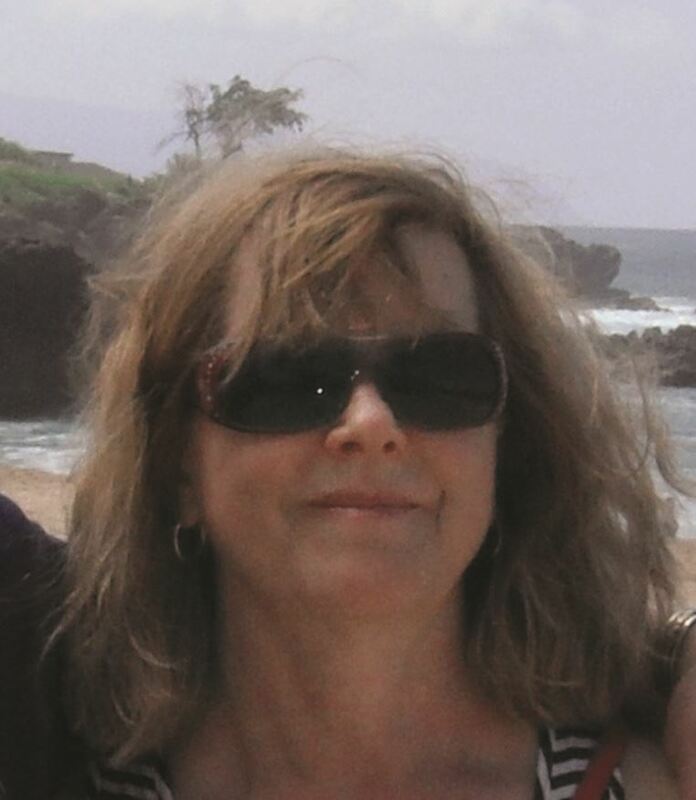 Donald: Ruth recently moved to a ranch in the South Cariboo region of British Columbia with a French Canadian cowboy, three horses and two dogs. She has never actually driven an eighteen wheeler, and probably never will.